Add a touch of traditional class to your look with this charming freshwater pearl set. 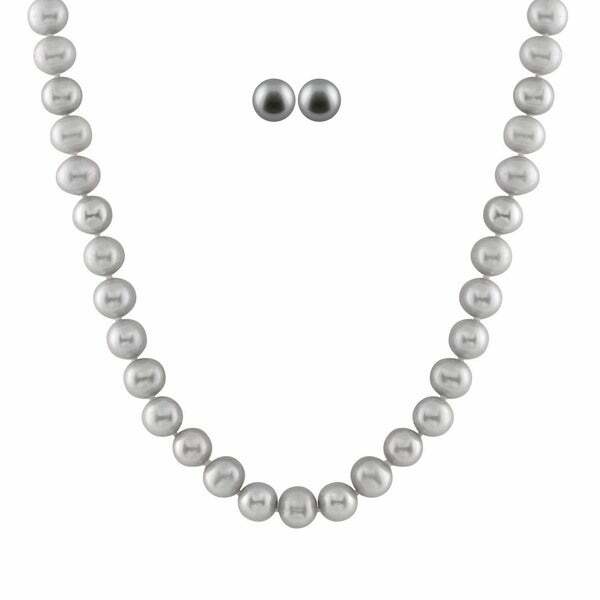 The set comes with a pair of grey stud earrings, and a luminous grey pearl strand necklace. The pieces secure with sterling silver clasps.